By popular demand, we now offer our incredible Superior Glazed Apricots in a convenient two-pound package, and our customers are ecstatic. We admit, sometimes it seems that this rare treat can be a little too rare. After all, we choose only the largest, plumpest fruits for our selections. On average, it takes only 14 halves to make a full pound, and if you’re not careful, they can disappear quickly. But with two pounds of candied apricots on hand, you can be a little more forgiving when the inevitable happens, and you just lose yourself in pure delight for awhile! Really, it’s not hard to do. Our customers tell us it happens all the time, and no wonder. These are simply the world’s finest glazed apricots, the result of a long, complicated cooking process that only works with perfectly ripened native fruit that has been dried to the ideal firm-soft consistency. Through repeated low-temp cooking-and-cooling sessions in a rich syrup crafted from pure Australian cane sugar, the apricots acquire a beautiful sweet glaze and the most wonderful fiery-orange color—and you won’t believe the flavor! Fruity and sweet, moist and chewy with a delightfully rich tang, our candied apricots will simply melt in your mouth. Better yet, with two full pounds of Superior Glazed Apricots, you’ll finally have enough to share with your special friends or family. Life is always better when you can enjoy its finer things together! And make no mistake about it, these huge glazed apricots definitely fit that notion. Whether greeting a glorious sunny morning with an energizing breakfast, finishing off a memorable evening meal with a sumptuous dessert, or simply indulging yourselves with a heavenly afternoon snack, you’ll all agree that the Superior Glazed Apricots from Superior Nut Store absolutely rock. And the price is just as awesome! These apricots from Superior nut have always been wonderful, great size, nice and plump, fresh with just the right amount of glace, we dip them in chocolate and use them for events, everyone is pleased with them and they all get eaten. Perfect apricots..plump, juicy...delicious. Thank you. I have been eating Glazed Apricots for many years mostly homemade from an Amish candy maker. They stopped making them years ago so I have been on a hunt for good apricots. I have tried others and they were good but I recently ordered a bag of Superior Glazed Apricots and my husband and I agree these are the best apricots we have ever had! So plump and juicy! Wow. I thought they were a little pricey but to be honest they are worth every penny. You pay for what you get!!!!! Ordering online was easy and delivery quick. Highly recommend Superior Nut Company!!! I was given a tin of these for Christmas and fell in love, so I went online and ordered four 2-pound bags to eat and to give away. I looked online for suitable containers and then ended up just buying some glass cookie jars. By wrapping the fruit individually in plastic wrap, they are easy for the recipient to eat without getting all sticky. The two recipients (the only ones I've given so far) really enjoyed them, and considering one of the recipients was a person in hospice whose appetite is virtually non-existent, it was great being able to find something that made him happy. I shall have to increase my next order the next time. I purchased both from William Sonoma and Superior Nut. No contest, Superior was hands down best! enjoyable - one pound pkg was moister and juicer - than the two pound but still good. I have ordered the Australian Glazed Apricots at least 3 times, and every time they have arrived fresh and full of wonderful sweetness. Ive also sent them as gifts, and they were received with glowing compliments and thank-yous. Many thanks to Superior Nut Store! Bought these as a Christmas present for my Mother. She LOVES them. She said the hardest part is trying to not eat them too fast and making them last a while! ConsNot necessarily a con, but a recommendation. Be sure to keep them in a cool location so the syrupy glaze does not melt. They still taste good, but are just a little watery and less glazed. I love these glazed apricots. So full of flavor. A. great treat. Purchase them often. In rare occasions a few of the apricots have crystallized bits which have a gritty taste but that is rare. Wonder if crystallization relates to exposure to air as opposed to being in a tightly sealed package. I consciously take care in resealing the 2 pound resealable bag for this reason. Excellent buy; good flavor, good texture and good color/appearance. I like to stuff them with shredded coconut; mmmmm! Best apricots we have ever had! Will definitely be ordering them agai very soon! Thank you!! Excellent product!! I dip them in chocolate for the holidays. I have bought them from the Superior Nut Company for several years. Best ever! These are top quality delicacies. Moist, sweet/tangy and delicious. You never disappoint me. Recipients are continually pleased with these luxurious little gems. They arrive on time & have great lasting quality (depending on one's ability to resist indulging). Moist, delicious, habit forming. The best apricot you will ever eat. Not your typical dry fruit. The product was priced well. I would have preferred that the apricots had been layer out in a flat box rather than in the bag I received them in. They tasted well and were appreciated by all who consumed them. I thought they lost a little of the apricot flavor in the translation, compared to others of the same kind I've had from other suppliers. I made the purchase based on the good price. Gave little packages of these to neighbors and co-workers for Christmas. Unique and delicious. Super sweet! Nibble on half for a dessert. ProsPerfect shape, consistency, flavor. Super sweet! Can't live without this product. My husband's grandmother used to make these apricots when she was alive. This product is as good as her homemade ones. I will continue to do business with Superior Nut Co. because of their business ethic. Last year when my bag of apricots arrived, the envelop that contained them and the bag of apricots had been punctured. I decided to keep the apricots even though the syrup had leaked out but I let the company know of the puncture. Even though I hadn't requested a replacement, they sent one to me free of charge. While quite pricey, these glaceed apricots are the best of their kind. They are dense, meaty and delicious. I use them for Christmas cookies which have a flaky cream cheese dough crust dusted with powderd sugar after baking. They are not easy to find so thank you Superior Nut Company! These apricots are delicious and gigantic! Smaller apricots sell at Godiva chocolates for over $5.50 per piece. I dip my own and the recipients are very grateful! These arrived within days of placing the order. ProsEverything is great at Superior Nut Company! This is my second order for these exquisite treats. Plump, juicy, flavorful, you just can't beat it. Pure heaven. The Australian glazed apricots were exactly as described. Excellent quality & a very good value when purchased in the 2lb bag. Would definitely order again! These Australian Glazed Apricots were delicious and huge! We definitely would order them again. ProsThey were moist and very good flavor. ConsI should have ordered them in a tin. They were messy and sticky getting out of the bag. Always treat myself at Christmas with these apricots. This year no exception, fantastic. These are fabulous apricots, big and plump. Good price for a great product. My husband and I absolutely love the Australian Glazed Apricots. They're delicious! The Best!!! You won't find any better, they are perfect. Quality is consistent from bag to bag. For apricot lovers, an outstanding treat. I couldn't have asked for anything better! Large, thick and sweet perfectly glazed and oh, so tasty! Highly recomend these to any one who wants a decadent treat! We dipped them in chocolate. Two years ago Sunnyland Farms stopped making glazed apricots.....I make apricots champagne truffles and couldn't find any as good as theirs UNTIL I found yours.....they are plumb, glorious, color and taste prefect and made awesome tasting truffles. The price is reasonable for the amount and quality. Prosfresh, well packaged, quality product. Wonderful glazed apricots and fast delivery from Superior Nut Company. They have never disappointed me with their quality products and service. I highly recommend them. I wanted to make apricots dipped in dark chocolate. I didn't want the plain dried apricots from the store so I found these wonderful Glazed Australian Apricots from Superior Nut Co. They were large, plump and delicious! I made the chocolate for dipping the Apricots and they were wonderful and impressive. My Doctor was dumbfounded when I gave them to him and his wife. He was impressed with the size....I kept a few for myself and indulge myself with one a day...will definatley purchase again from Superior Nut Company. ProsFresh, large and plump with just the right sweetness and a bit tart! ConsA lot of glaze and hard to hold onto while dipping, but well worth that effort! I've ordered these apricots from your company several times and I've never been disappointed with the glazed apricots or the timely service. The glazed apricots are delicious!!! Delivered quickly.The taste and texture are superb. I've been giving these to my mom for the last 3 years. She loves them! These are the best I've found. Kind of syrupy, and costly, but if you like apricots - you can't beat these. Meaty, big, sweet (a wee bit too sweet) - delicious! Great product, soft, juicy, sweet. What a delicious product! Great texture and taste in goliath sized apricots. Australian Glazed apricots are to die for. Had them chocolate covered in a deli at four for seven dollars. Went to internet to find my own source. These were HUGE, juicy and the two pound bag was more than enough for a birthday party and leftovers for the following day. Dipped in my own dark chocolate to ensure they wouldn't be compromised in a hot UPS truck. Shipping was super FAST!! Large, soft and not overly sweet. Made a great Valentine present. Everyone, kids included, liked them. ProsNo tough, dried out apricots here. ProsThey are tasty and yummy and just plain lovely. ConsHow I wish they had come in a tin instead of a bag. These are huge meaty apricots. We put them on rye crisp crackers for a treat with our coffee or tea. Plastic bag was a bit ordinary in appearance, not the best presentation. Although the apricots were good, they weren't the sweetest I've had. ConsNot as sweet as they could be, and others have been. I sent this as a gift and it was shipped out quickly and very well received by recipient!! I plan to order some for myself!!! $30 to ensure a happy mom??? Oh yes! I send these to my 88 year old mom at least three times a year. For awhile, I kept changing up where I ordered them from. She recently said to me "You know I love you, and you know I love these, but could you PLEASE go back to the original place you ordered the apricots?". That, clearly, is these guys. She lights up like a Christmas tree when she gets these and could not stop raving about the last batch. Be a good kid, get some for your mom. They were delicious. I will be ordering them again soon. Thank you so much, they are not easy to find. Item arrived on time. Was exactly as described and expected. These apricots are truely AMAZING, I've tried other ones but these are the BEST! This is the ONLY place I will purchase these in the future. I just purchased another 3 lbs. not sure how long they will last....I recommend these to anyone who appreciates Australian Glazed Apricots. The glazed apricots are some of the best I've had - they were very fresh and tender. I use them to make my own chocolate dipped apricots. ProsI liked everything about this product! Really good quality product and service. I love these apricots and regularly give them as gifts. I want more of these wonderful treats. Been trying to find this exact item, after greek specialty grocer in West Palm closed some time back. So glad I found this shared with my friend that took me to the place in West Palm. She is as happy as I'm. ConsA little more syrupy glaze would be nice. The product is excellent. Plum and Moist. Excellent Taste. ConsDoes not have(for my taste) enough glazed finish. Wow! Out of this world! We treated ourselves to Australian Glazed Apricots at Christmas. It was our first order from the Superior Nut Company. These apricots are wonderful ! They are large, plump, sweet, tender, and delicious. It's a perfect dessert with coffee or as a bed time snack. We have just ordered our second bag. Instead of ordering a one pound bag this time, we doubled our order and purchased a two pound bag. I'm sure we will be ordering more, especially since we discovered they will be shipped year round with a cold pack. ProsSweet, plump, flavorful, large, and delicious! These are the best apricots my family has ever had and we were very happy to find out that your company had them available for purchase. These apricots are favorites of both my wife and daughter. The source I had used for the last several years did not have them this year and I found them at Superior Nut Company for a price that was better than I had paid in prior years. I was able to get abot twice the quantity for just a little more than I paid last year. The price was excellent and the shipping was quick and efficient. Superior Nut will bw my go to place for years to come. ProsPrice was good and discount on second package sealed the deal. We have not yet distributed these to family and friends, but based on several years of prior purchase, I have no doubt that this year's crop will be equally delicious and appreciated. The apricots were way cheaper than at Nordstrom's to begin with. They were a wonderful quality. i would definetly buy fro them again. These apricots are very tasty and HUGE. They are sweet but still have lots of fruit flavor -- we eat them like candy after dinner. For years, a dear friend purchased Australian Glazed Apricots for me from Neiman Marcus as a very special holiday gift. I was delighted to find the same high-quality product available online from SuperiorNutStore.com, a consumer-friendly company with an impeccable reputation. I could not be more pleased with my purchase experience, the quality of the product, the reasonable cost, and the timely shipping options. I will order from SuperiorNutStore.com in the future and will recommend them to my friends and family. 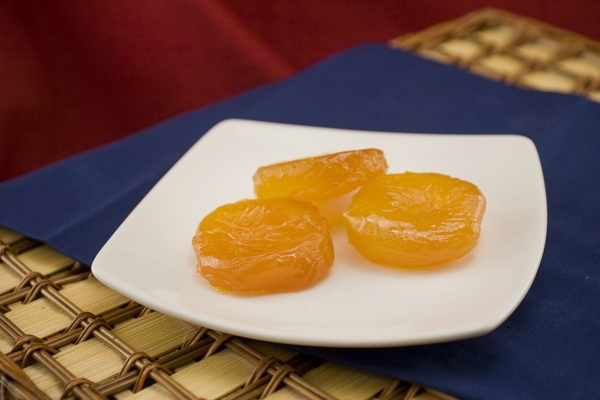 ProsAustralian Glazed Apricots offer gourmet taste at a reasonable price. ProsThese are so wonderful!A great find for anyone who loves Apricots!Loved them!I cooked some down and made fried hand pies!! We ordered Australian Glazed Apricots, excellent product, high quality and prompt professional service. I ordered these apricots for my brother-in-law as a birthday present. He loved them!! Delicious and fresh, bursting with almost a concentrated apricot flavor. Only reason for four stars, instead of five, is that they are a bit sweeter than I expected. I thought I had eaten glazed apricots before, but I think they were merely dried or lightly sugared. Dear Nuts, The apricots look great, the price was right, and delivery was speedy. LOVED, LOVED THEM!~ WISH THEY WERE NOT SO EXPENSIVE,I WOULD BUY THEM ALL YEAR. THANKS. Fantastic - the apricots just drip juicy deliciousness! The glazed apricots are a fabulous treat! Iâ€™m giving some as Christmas gifts. By Patricia L - Memphis TN. I love the glazed apricots & enjoy serving them to my friends. I dip my own. Your glazed apricots were of wonderful quality - plump and sweet, and arrived within a few days of ordering. I ordered these glazed apricots last year, too, and they were wonderful. Thats why I ordered them again. I recently ordered online some glazed apricots from Superior Nut Company. They arrived in excellent condition in less than 24 hours. The company followed up with e-mails. A great shopping experience and the apricots were delicious as expected.